You can get just about anything at Amazon, so why not 3D printers and 3D printing supplies and accessories? 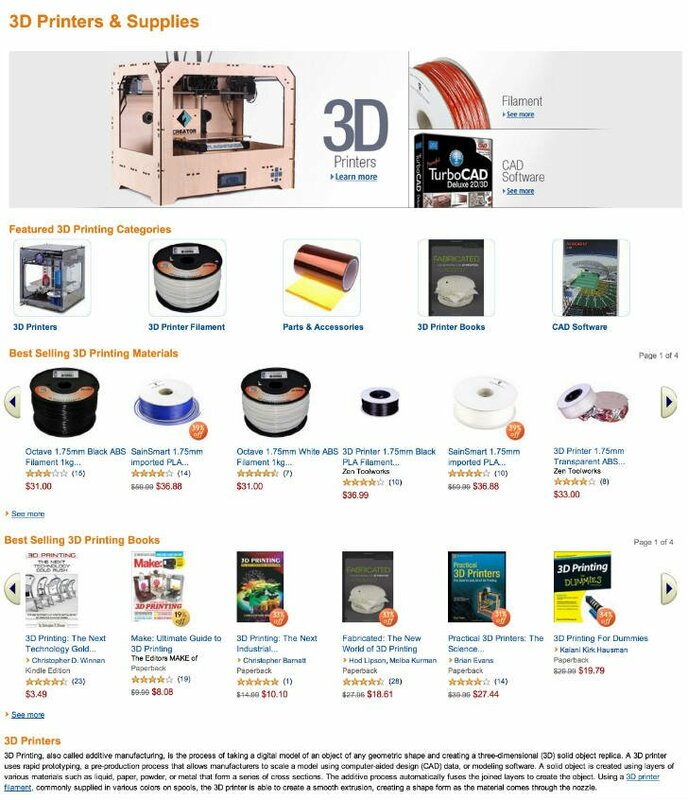 The new Amazon section, or “3D printing Store” as they call it, sells an assortment of printers, filament, software, parts, accessories and books. I don’t know if models vary from day to day, but a look at it today showed printers from Afina, Makerbot, Flashforge, Airwolf, Mbot, 3D Systems and more. There are plenty of filament choices, all the software that is available for purchase should be there, and I saw 20 books related to 3D printing. Yeah skeptics, this newfangled technology will never go mainstream, will it?